This column was written by Lawrence Solomon. Ever wonder how Al Gore, the United Nations, and company continue to get away with their claim of a "scientific consensus" confirming their doomsday view of global warming? Look no farther than Wikipedia for a stunning example of how the global-warming propaganda machine works. In theory Wikipedia is a "people's encyclopedia" written and edited by the people who read it - anyone with an Internet connection. So on controversial topics, one might expect to see a broad range of opinion. Of course Oreskes's conclusions were absurd, and have been widely ridiculed. I myself have profiled dozens of truly world-eminent scientists whose work casts doubt on the Gore-U.N. version of global warming. Following the references in my book The Deniers, one can find hundreds of refereed papers that cast doubt on some aspect of the Gore/U.N. case, and that only scratches the surface. Naturally I was surprised to read on Wikipedia that Oreskes's work had been vindicated and that, for instance, one of her most thorough critics, British scientist and publisher Bennie Peiser, not only had been discredited but had grudgingly conceded Oreskes was right. Peiser wrote back saying he couldn't see my corrections on the Wikipedia page. I made the changes again, and this time confirmed that the changes had been saved. But then, in a twinkle, they were gone again. I made other changes. And others. They all disappeared shortly after they were made. Turns out that on Wikipedia some folks are more equal than others. Kim Dabelstein Petersen is a Wikipedia "editor" who seems to devote a large part of his life to editing reams and reams of Wikipedia pages to pump the assertions of global-warming alarmists and deprecate or make disappear the arguments of skeptics. Now Petersen is merely a Wikipedia "editor." Holding the far more prestigious and powerful position of "administrator" is William Connolley. Connolley is a software engineer and sometime climatologist (he used to hold a job in the British Antarctic Survey), as well as a serial (but so far unsuccessful) office seeker for England's Green party. And yet by virtue of his power at Wikipedia, Connolley, a ruthless enforcer of the doomsday consensus, may be the world's most influential person in the global warming debate after Al Gore. Connolley routinely uses his editorial clout to tear down scientists of great accomplishment such as Fred Singer, the first director of the U.S. National Weather Satellite Service and a scientist with dazzling achievements. Under Connolley's supervision, Wikipedia relentlessly smears Singer as a kook who believes in Martians and a hack in the pay of the oil industry. 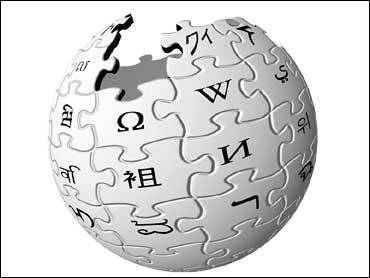 Wikipedia is full of rules that editors are supposed to follow, and it has a code of civility. Those rules and codes don't apply to Connolley, or to those he favors. "Peisers crap shouldn't be in here," Connolley wrote several weeks ago, in berating a Wikipedian colleague during an "edit war," as they're called. Trumping Wikipedia's stated rules, Connelly used his authority to ensure Wikipedia readers saw only what he wanted them to see. Any reference, anywhere among Wikipedia's 2.5 million English-language pages, that casts doubt on the consequences of climate change will be bent to Connolley's bidding. Nor are Wikipedia's ideological biases limited to global warming. As an environmentalist I find myself with allies and adversaries on both sides of the aisle, Left and Right. But there is no doubt where Wikipedia stands: firmly on the Left. Try out Wikipedia's entries on say, Roe v. Wade or Intelligent Design, and you will see that Wikipedia is the people's encyclopedia only if those people are not conservatives.